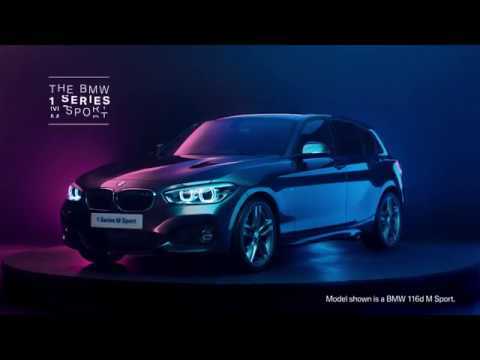 The BMW 1 Series Sports Hatch offers the best in first-class driving; combining a unique blend of athleticism and elegance it features high levels of performance and efficiency making this model a leader in its class. Inside, an array of advancements will delight those fortunate enough to drive or simply take a seat in this stunning sports hatch. High spec comes as standard with high-gloss black and chrome details that create a luxurious interior cabin while a smart new range of trim and upholstery options are available across each alternative. The Sport model for instance displays an intricate detailed woven cloth combination that adds a shaped sophistication to the interior while the Urban models new cloth and leather combination Metro/Dakota offers a striking black and white look that creates a seamlessly styled cabin. In terms of technology, the 1 Series includes the latest in innovative equipment including BMW ConnectedDrive as standard, allowing you to experience the benefit of 4G capability for satellite navigation, automatic road map updates, Park Assist, active cruise control, Real Time Traffic Information, Drive Assist, Bluetooth and audio streaming. Available in either a 3-door or 5-door and in petrol and diesel variants, drivers can choose from SE, Sport or M Sport models, all of which come fitted with next-generation TwinPower Turbo engines for sheer driving pleasure. The cars remodelled iconic BMW kidney grille brings the 1 Series' sporty character to the forefront with its wider design, enticing flashes of chrome and sculpted bars to form an air of exclusivity around the car and make sure it really catches the eye. The alloy wheels and new refined exterior paint colours bring a splash of vibrancy to the cars exterior aesthetics while the enlarged exhaust or double exhaust on the 120d model also echo the cars sporty intentions. The redesign continues beneath the bonnet with a series of key engine upgrades to ensure that every 1 Series model is now powered by an BMW TwinPower turbo engine centred around 500cc cylinders available in three, four or six cylinder configurations all fine-tuned to minimalize friction and condense thermal losses to enhance overall efficiency and reduce emissions to exceptional levels. Additionally supported by advances such as ECO PRO mode which increases the efficiency of attributes such as driving style and climate control, the 1 Series Sports Hatch also benefits from Variable Sport Steering and Adaptive M suspension for improved torque alongside Auto Start-Stop and eight-speed Steptronic transmission for greater acceleration and a reduction in fuel consumption to provide a superior driving experience.